Earlier this month I popped along to visit the newest bridal boutique in Norfolk. Adella, based at Ketteringham Hall, is a little pocket of wonderful bridal heaven. When I entered the boutique I was stunned at how luxurious it all felt. 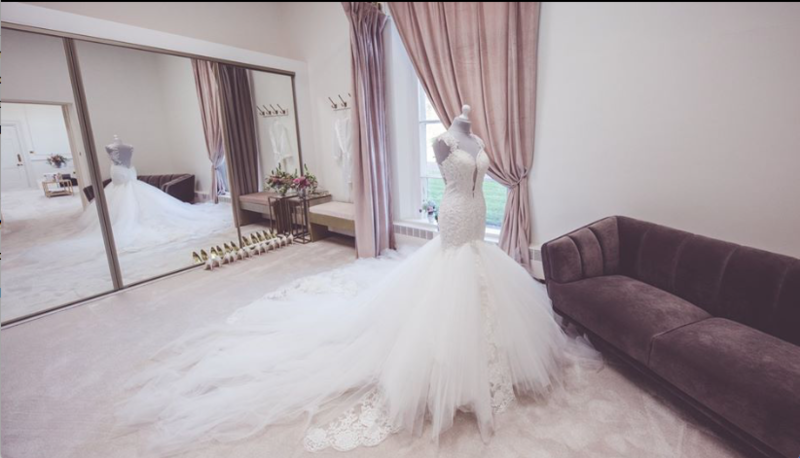 Amy, the fabulous owner, has clearly put so much effort into the decor at Adella, creating an airy yet opulent, open space for brides and their tribe to visit and really immerse themselves into the beautiful world of bridal dresses. 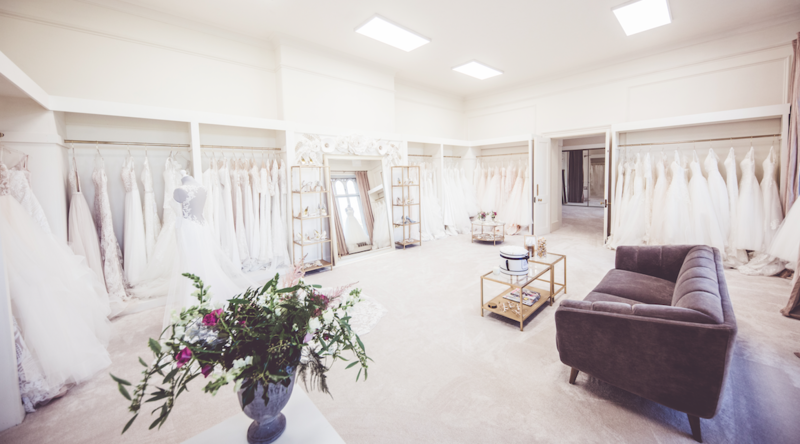 With her fashion and retail background, Amy has carefully selected the dress ranges she stocks to give Norfolk brides the very best selection of beautifully feminine and modern bridal gowns. Amy is highly skilled at selecting dresses which will be on trend for the forthcoming wedding season and which will flatter your wedding style and body shape. With customer service at the very heart of her brand, I know a visit to Adella would be an experience all my client would certainly relish as part of their wedding planning journey. The boutique is on the ground floor of the little known Ketteringham Hall, a privately owned business complex converted from a historic family estate, owned by the descendants of the founders of the local car brand, Lotus. 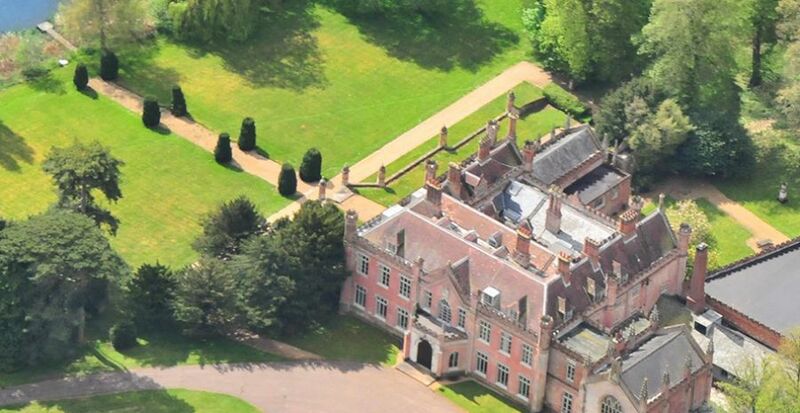 Ketteringham Hall itself is a stunning location, set in the heart of the Norfolk countryside with countryside views as far as the eye can see. As you approach this exclusive venue, it automatically gets you in the mood to be spoilt and made to feel like a real princess. With super easy parking and access there are none of the typical stresses with centrally located boutiques. You can even treat yourself to afternoon tea on site at the neighbouring Piano Tea rooms! The range of dresses you will find at Adella is all elegant, chic, very feminine and romantic. At Adella you will find a range of Spring 2019 dresses by Hayley Paige, Dando Bridal and their in-house designed ‘Adella’ range of dresses. And as for the finishing touches for your bridal look they stock the fabulous Freya Rose bridal shoes, veils and bespoke accessories created specially by Amy to complement the dresses in the boutique. Bookings are by appointment only and you will get the whole boutique exclusively for you and your guests to peruse and try on with Amy’s undivided attention. I am really looking forward to watching Amy develop this bourgeoning business and contributing to the Norfolk wedding scene! All images courtesy of Perfect Pose Photography.